The editor of the Salisbury Journal said web traffic has been “booming” in the weeks following the nerve agent attack on former Russian spy Sergei Skripal in the city earlier this month. Joe Riddle said the title, which was first to break news of the incident, had received more than 500,000 page views for online articles about the attack on 4 March and its ongoing investigation. 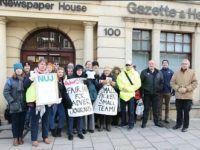 He said staff on the Newsquest-owned weekly have been covering developments “around the clock” and have been working “even longer hours than usual”. The Journal’s reporters were first to the scene on Sunday after receiving a tip-off video of an air ambulance landing in a car park in the Wiltshire city. Yesterday’s print edition of the Journal also announced the launch of the Salisbury is Open campaign to back local businesses affected by the fallout from the attack . Riddle said: “The idea came from publisher Bill Browne. We wanted to see what we could do to help boost trade to businesses that have been struggling. The Journal also secured the official backing of Theresa May for the campaign, who visited Salisbury yesterday. The Prime Minister told the Journal that it was “important for Salisbury, for local businesses, that we are able to see visitors come here”. Riddle added that the paper was considering putting together advertising packages for businesses that had been badly affected. 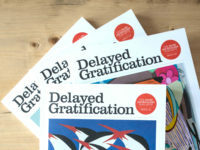 Publisher Bill Browne said: “We have been leading the way in telling local people about all the twists and turns of this bizarre story, but at the same time we have not lost focus this is having a very real impact on those who depend on trade in this town for their livelihoods. 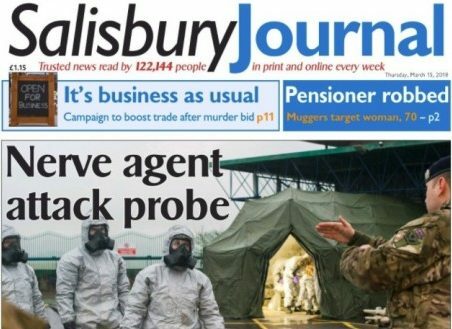 Salisbury Journal has a total circulation of nearly paid-for 13,000 copies a week, according to the latest ABC figures.